In his annual letter to CEOs sent a few weeks back, Laurence Fink, the chairman and CEO of BlackRock, which manages nearly $6.3 trillion in investments, put them on notice that their companies will be judged, not only on financial results, but on how they impact society. The phrase “throw down the gauntlet” means to challenge or confront someone, but in its earliest use it wasn’t meant as a metaphor, but was a physical action intended to issue a formal challenge to a duel. As a business leader, if that was the question you were asked on an earnings call or for that matter at a townhall meeting, what would be your response? This is no longer a feel-good issue. The pendulum is shifting towards a “show me” insistence. Those mission and values statements MUST mean something. The enthusiasm must come from the top as Fink’s letter suggests. As I read his letter, I thought of John Lennon’s song “Imagine.” If all the companies in their own way would direct their corporate social responsibility (CSR) efforts with laser focus, the impact would be tremendous all. In today’s socially conscious environment, employees expect more from their employers. Passionate leadership can drive a company to give back to the larger community. That kind of dynamic culture is what many people are looking for when deciding where they want to work. You may cynically believe that this is not an important issue, but that kind of thinking is blind leadership. At one time companies would make a donation and tout about how much they gave in the belief that it took them off the hook for doing anything more. However, your employees want you to be emotionally invested in causes. They favor a more participatory approach, extending beyond a transactional donation. Employees also want to be associated with a company that places a high value on philanthropic actions. 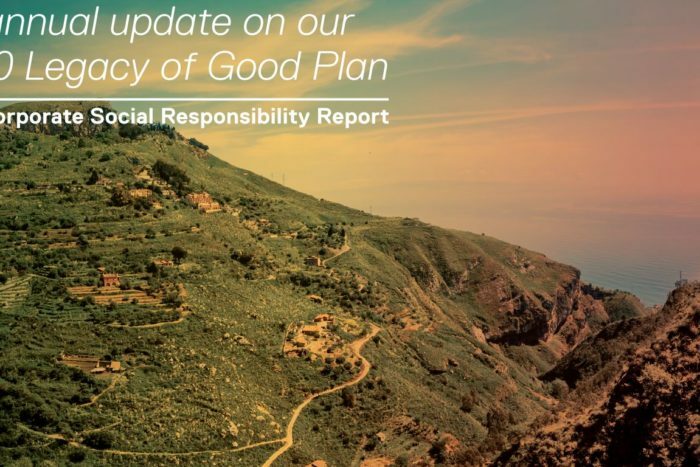 Dell, the computer maker, launched a 2020 Legacy of Good program several years ago, and annually issues a report on how the company is doing to meet the goals. In the most recent report for FY 2017, employees contributed 821,000 volunteer hours, and planted some 44,000 trees to help the company reach one of its 2020 goals – planting a million trees. When I worked at Martha Stewart Living as vice president HR, we gave all employees 2 days for volunteer duties (excluding political activities). Hiring and retaining forward thinking, socially conscious employees in addition to fostering a culture of CSR will drive a more holistic engagement effort overall. Volunteer hours, employer-matching programs and in-kind services are just a few of the ways in which companies can make a social impact besides just giving cash. According to CECP research across various industries, companies are considering how to best utilize the skills of their staff to improve societal outcomes. CECP research also indicates the percentage of companies offering paid time off for volunteering has risen over the years to 61% in 2016. So I would like to advise those that are “listening,” you can still make money and do good. In the end, you will be remembered more for your good to society than your financial results. Examine what your organization is about.